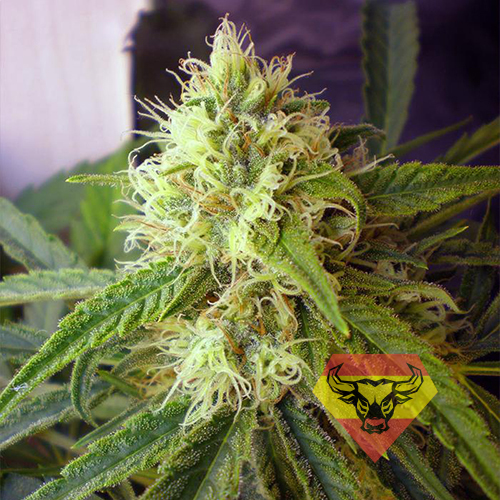 Feminized hemp seeds of the breed Northern Light are produced by the excellent indica plants of a small sizes and massive cola. The growers all over the world are deeply attached to the strain. Its genes comprise almost every indoor hemp strain, and there is logical explanation: despite the predominance of indica genes, the plant is not prone to mould and fungi, providing the opportunity for its breeding under humid conditions common to confined spaces. Initially, the strain was created for the indoor breeding, but over time, the fans of outdoors who lived in the southern warn climate zone, began actively cultivate it. Northern Light is the descendant of the two magnificent hemp strains, the massive Afgani and lucrative Haze. The strong indica genes generously gifted the feminized hemp seeds of the breed Northern Light with fantastic productivity properties, small sizes and absolutely low maintenance. Northern Light scents a slight aroma, which combined the flavours of freshly picked fruits and black currant, spiced with a luxurious wormwood bitterness. The resin contained in this strain is made up of a huge amount of THC and CBD, resulting in a pronounced psychoactive effect. After taken a small quantity of the strain’s buds, you will be swept away by a massive flush of energy, that will fill your soul and mind with positive powers. But after a while, when your emotions are died down, a deep relaxation will restore your body. The specialists highly appreciated Northern Light for its strong healing potential. The hemp strain is good in treating of acute pains, insomnia, depression and constant fatigue. The plant helps to calm the nervous, relieve depression attacks and restore the peace of mind. One can hardly call the feminized hemp seeds of the breed Northern Light as the fussiest plant, as it does germinate fast, producing strong and confident sprouts which are characterized by rapid development. However, for the strain to shoot its full genetic potential, a grower should provide the plant with a more UV radiation and quality watering. Also, it will never hurt the plant to be regularly fertilized, – and in the blink of an eye you get the splendid and quality yield.